Your first camping trip will always be the most memorable. Whether you’re backpacking or camping with your family, you will have the experience of a lifetime. However, there are some things you really need to know when you go camping, especially if it’s your first time. We have rounded up the most significant camping prep essentials so you can enjoy a stress-free trip. Read more below and make sure you check them all off before hitting the road. You shouldn’t be afraid to explore the wonderful world of camping. You should, nonetheless, be well-prepared. Check out the 7 things you really need to know when you go camping so you can wisely make the most of your adventure in nature. As they say in real estate – location, location, location. When camping for the first time, we strongly encourage you to choose a campsite instead of a random picturesque spot. 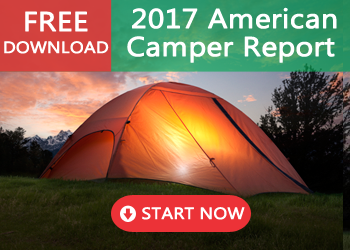 You have an abundance of campgrounds nationwide to choose from, including state or national parks. Pick a fair season, check the weather forecast, and make reservations to book your spot. On the day of your trip, get to the campsite early to become familiar with rules and install your tent. One of the most important things you really need to know when you go camping is picking the right tent. After you find out what to know before buying a tent, practice setting it up in your house or backyard. Choose an instant tent to make your first trip less stressful. Prepare and test the gear you’ll bring along, whether it’s a lantern (with extra batteries), a utility knife or a camp stove. Create a checklist so you don’t forget anything. * For fun around the campfire, pack marshmallows, chocolate, and graham crackers for s’mores! Overall, camping is an incredible experience that you should have fun preparing for. As long as you keep these 7 things you really need to know when you go camping, you shouldn’t have any major issues. 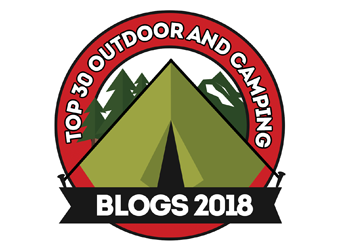 For even more helpful info, we recommend scanning through the best outdoor and camping blogs too. 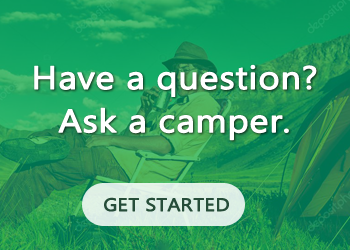 When you’ve checked off your first camping trip, share your story and any other tips you discovered in the comments below. Wow, this is a lot of stuff to pack! Last time I went camping I was 6 or 7 and my dad was in charge of everything. Fast forward to today, I’m the one in charge of putting everything together for our first camping trip as a family.